The ultra-efficient house was designed by architect Jay Fulkerson with a nod to Solar Hemicycle by Frank Lloyd Wright. 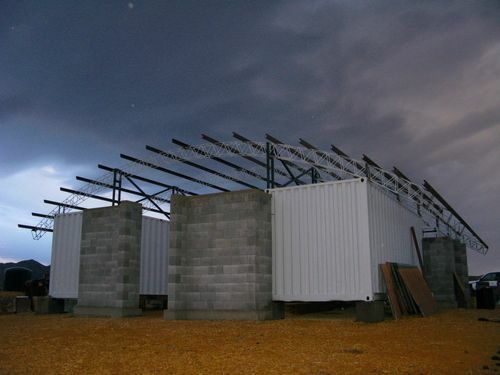 It was built at 760 Kenmore Drive in Chapel Hill, North Carolina and has an R20 slab, R42 walls, and R62 rafters. 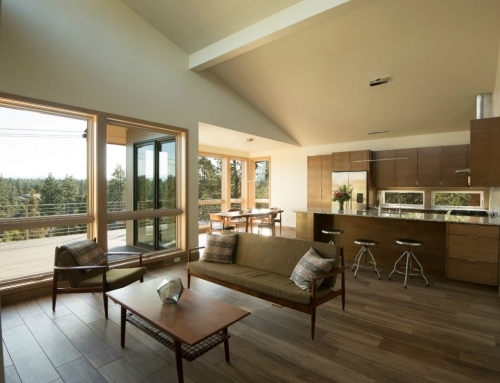 Kenmore House has high-performance windows by Serious Windows (725 Series), the same company used in the Breezeway House, Sungazing House, and Hudson Passive Project. The windows are Krypton-filled and have a low solar heat gain coefficient. One thing to notice in the pictures is the trim. 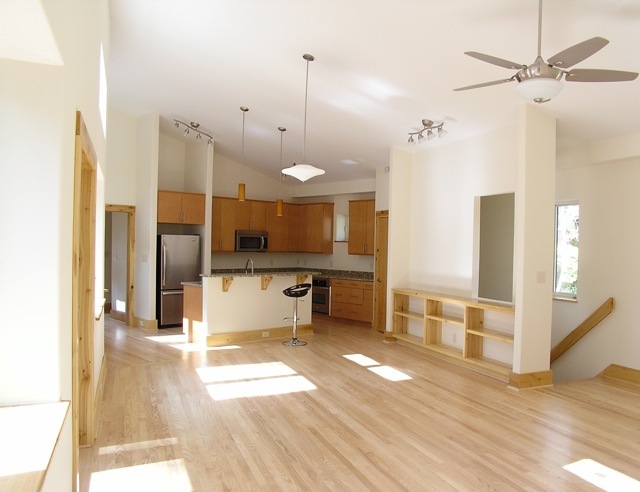 All of the trim was milled from yellow poplar trees from the site. They were locally dried, locally milled, and coated with Rainforest Sealer and Bio Poly (both by EarthPaint). Senior told Jetson Green in an email that the owners are “thrilled” with their new home. They can’t hear anything outside (unless they open a door or window) and are pleased with the interior air quality. The system replaces all of the indoor air every other hour while retaining about 96% of the interior temperature. Specifically, Kenmore House has an UltimateAir energy recovery ventilator and one Fujitsu variable 0.25-1.0 ton 25-SEER mini-split on each floor to condition the air. 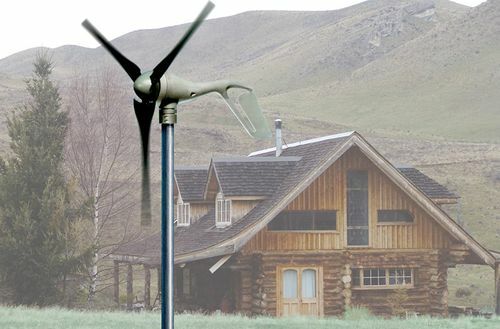 To save energy, the owners purchased a GE induction stove top and a ventless Bosch condenser clothes dryer. I wasn’t able to get specific construction cost information except that Senior said Anchorage Building Corp. builds these custom properties in the range of $160-$230 per square foot. 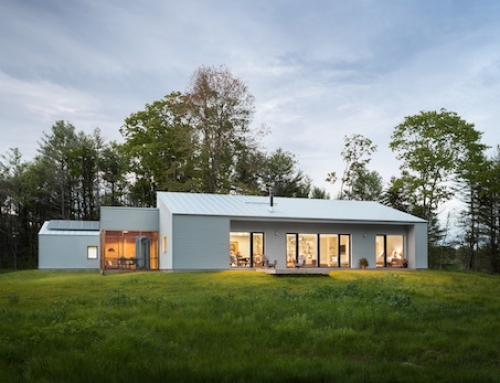 In fact, business appears to be booming because Senior has four more Passive House projects under construction and more in the design phase. 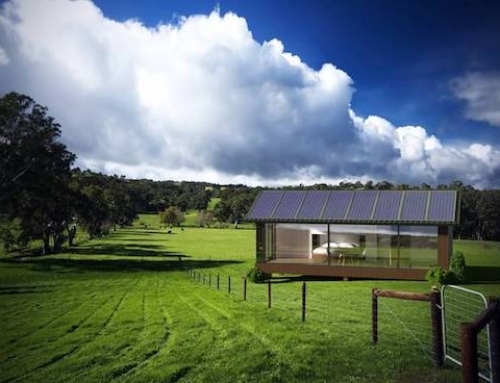 Good strong solar design perched hillside top ,Perfect location and i love the landbridge they are such a great touch ! Hats off to the architect and i must confess this is very similar too what i want in Northern Ont with a view over the pines as far as the eye can see not to mention the inspiring view of stargazing at night right from your livingroom an option good passive solar design is so perfect for plus the savings great stuff with tax deductions too boot ! i think that the diagrams of wright’s solar hemicycles are worth gleaning from – especially for passivhaus. the detailing/massing – not so much. 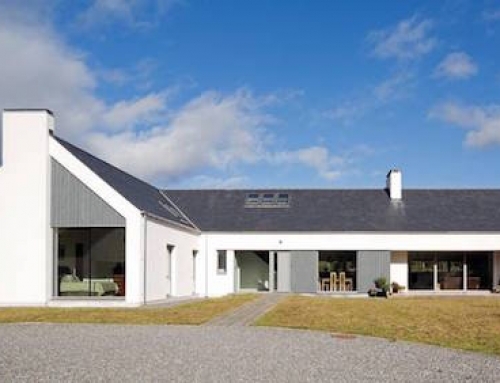 i’m not sold on the serious windows, in fact i think they’re something awful… and i’m not sure why one would build a house to a standard meant to significantly reduce CO2 outputs, with oodles of concrete. 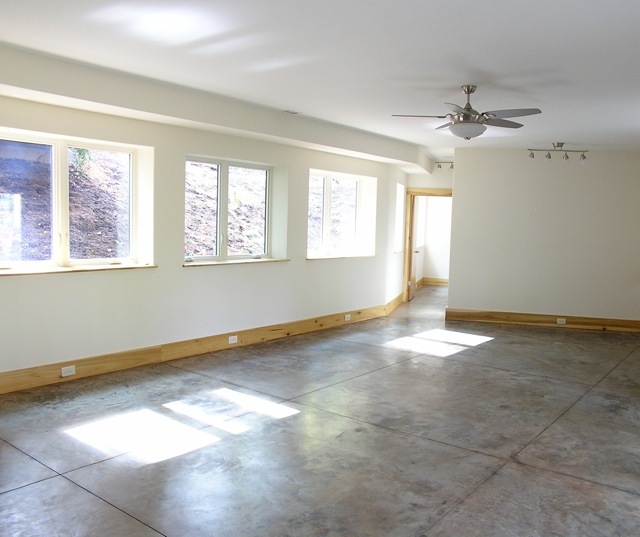 Concrete supplies thermal mass. If you use concrete, the CO2 emitted from the cement is usually amortized out in about 18 years. 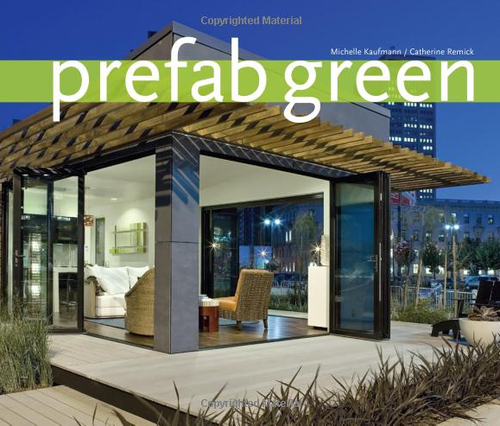 In 50 years, an Insulated Concrete Form house saves enough energy to save 90 tons of CO2 vs. a wood house. 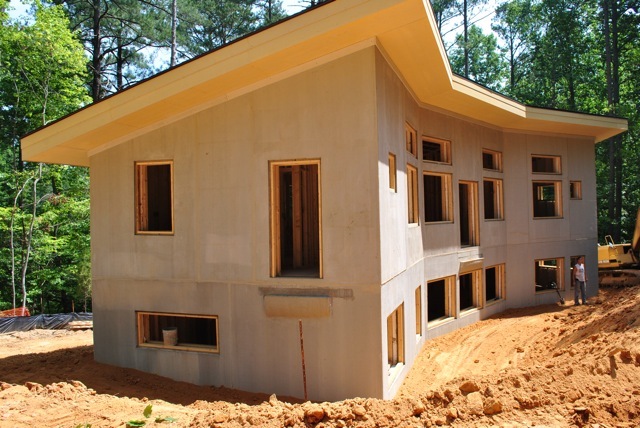 ICF supplies neglibile thermal mass due to the location of insulation. 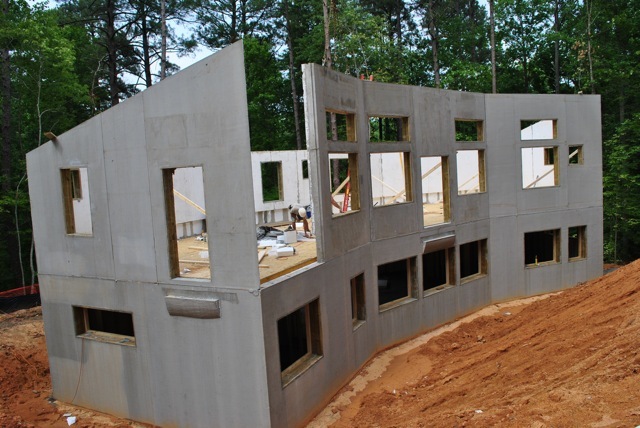 a double stud wall w. cellulose insulation will not only save as much CO2 as ICF, but has significantly less embodied energy, costs, etc. 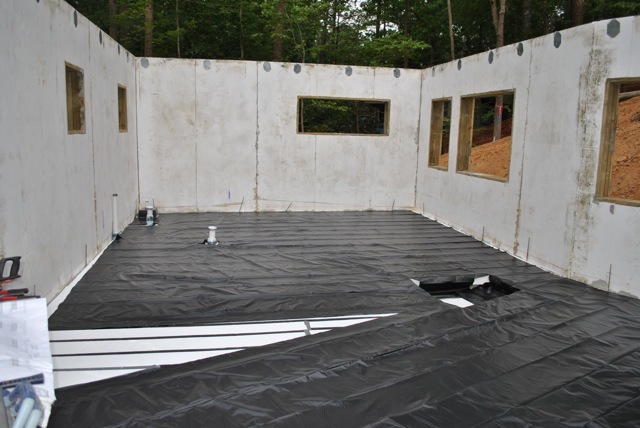 Yeah, the thermal mass should be on the inside, it’s all full of drywall. Why don’t you like Serious Windows? I would like to know a door that is built like a wall, high ‘r’, that is on the market, or would you have to make one? Finally people are doing the right thing. It’s all in the design and how it is laid out on the site using the natural topography and solar orientation. 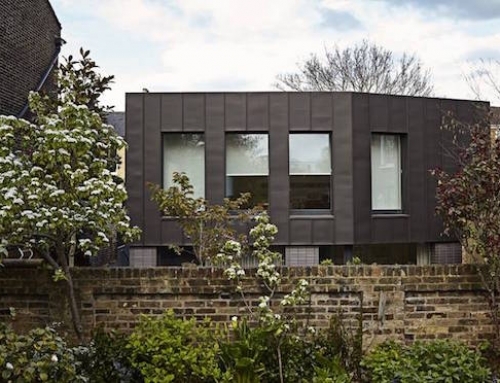 I love the fact that they used the timber from the site on the project. 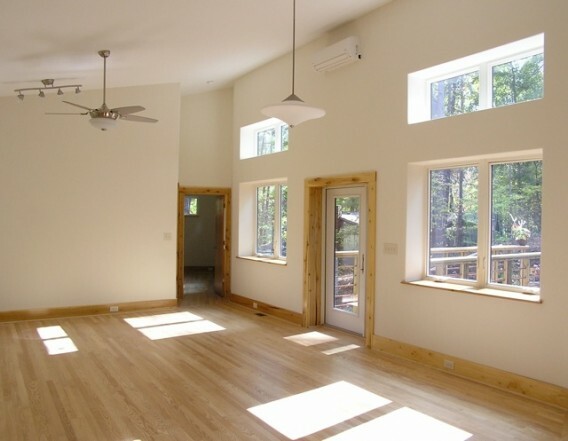 In New England and areas with cold winters we want a .55+ SHGC in our southern windows to bring in the heat for passive solar. In northern climates we need a thermal mass to hold the heat during the day and release it in the evening. In the south they chose the opposite because they don’t want the natural heat from the sun. That would make sense to have low SHGC windows. This is a lovely house. It is really filled with windows that is nice to be decorated by. The interiors look great, don’t you think? From the flooring to the fixtures which have been laid out; everything looks great! Oh, and the light coming from the outside sure does light up the rooms. Awesome place. Love the Earthpaint on site milled poplar. These builders are top notch; real cool fellas. This place will be here forever and the layout is such that it will be enjoyed. 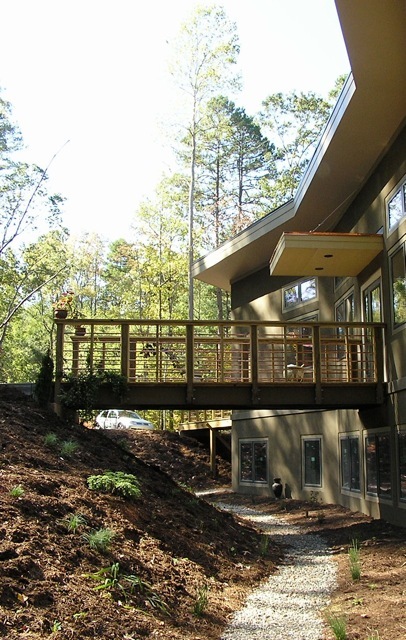 If you wan’t to take this design a step further check out Nauhaus in Asheville. Hall & Wright builders LLC just beat this Passiv Haus’s Blower door rating with a SIPs home in Southport, NC AT ROUGH IN. The rater is going to buy a new meter as it did not go low enough. 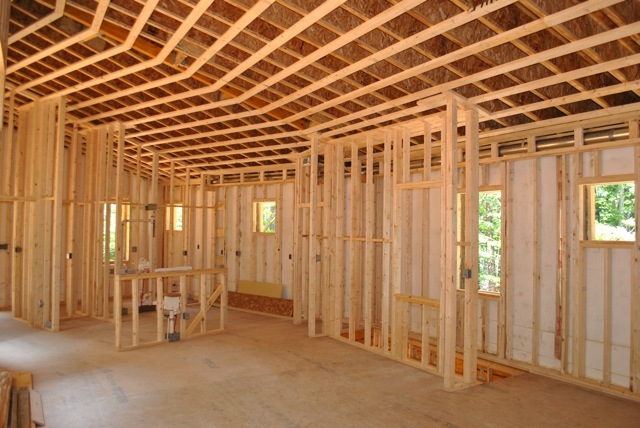 I am so thankful people are examining the whole home envelope when considering energy efficient options, previously it seemed builders and buyers were approaching it backwards by taking conventional construction and upgrading systems. Hopefully this will indicate a shift in the approach to going green to working smarter and not harder. 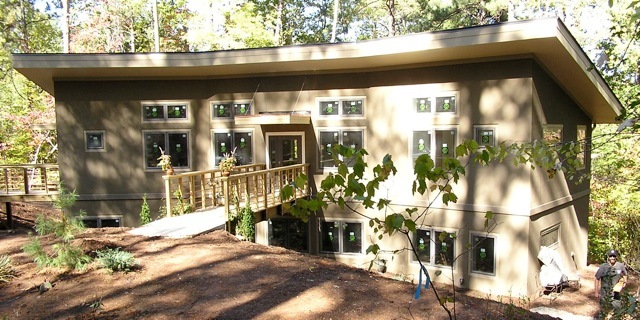 We used Ideal Wall Systems on our house. Within a year, numerous cracks appeared. Ideal missed two inspection meetings and they don’t return phone messages. We suggest using another supplier. 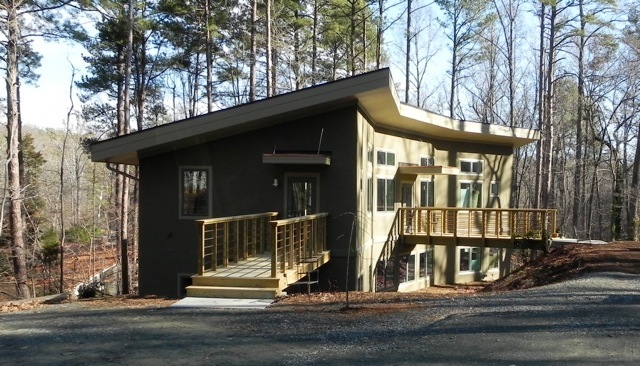 My Dad built this passive solar home outside Lattimore, NC in 1980. My wife and I live in the home now. Serious Windows link is seriously useless – Japanese? language only, no searchable toggle to English.